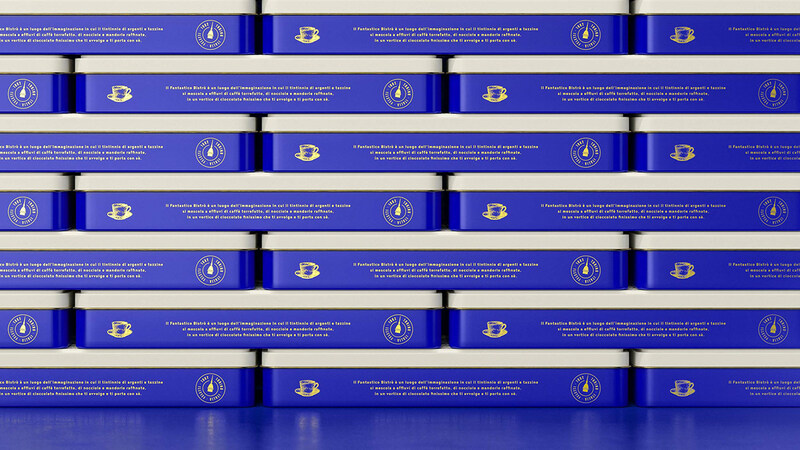 Client: HDI Holding Dolciaria Italiana S.p.A. 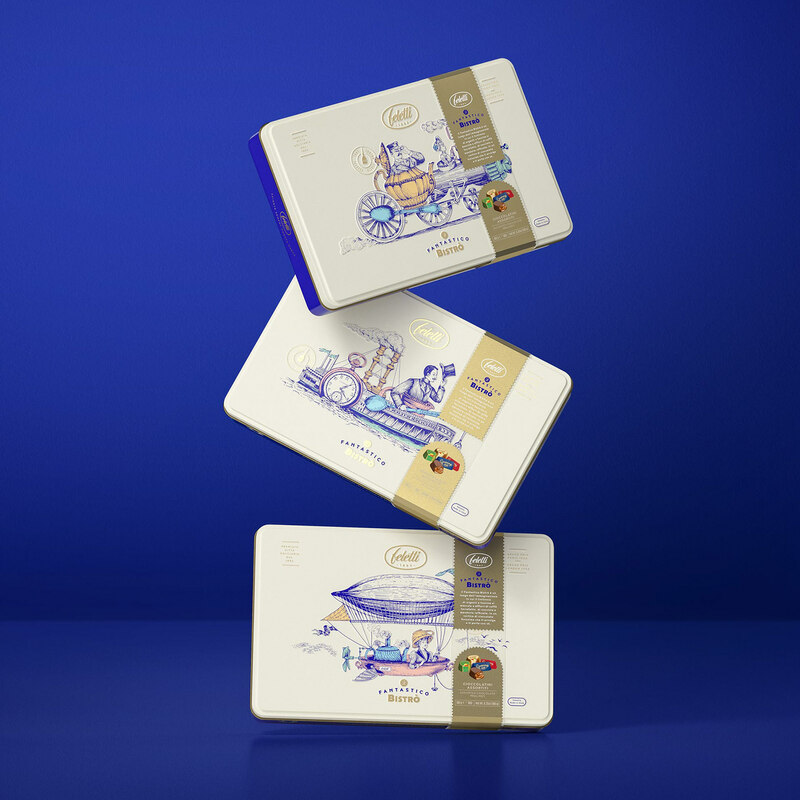 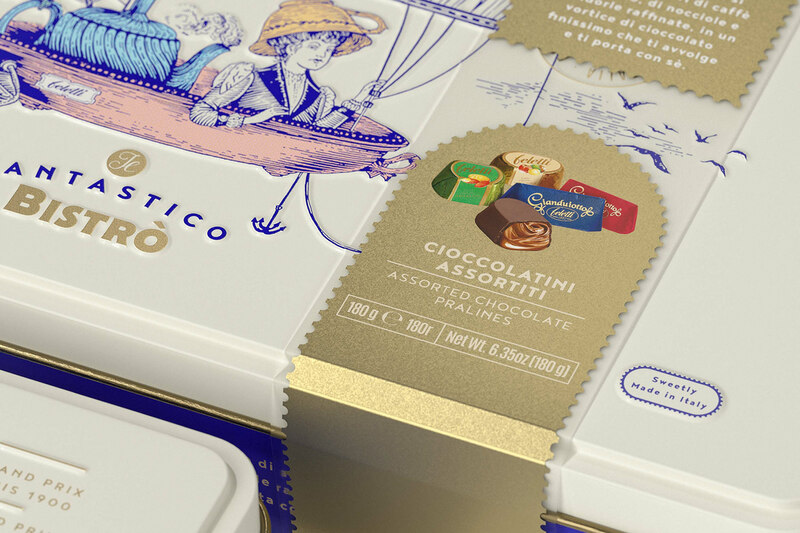 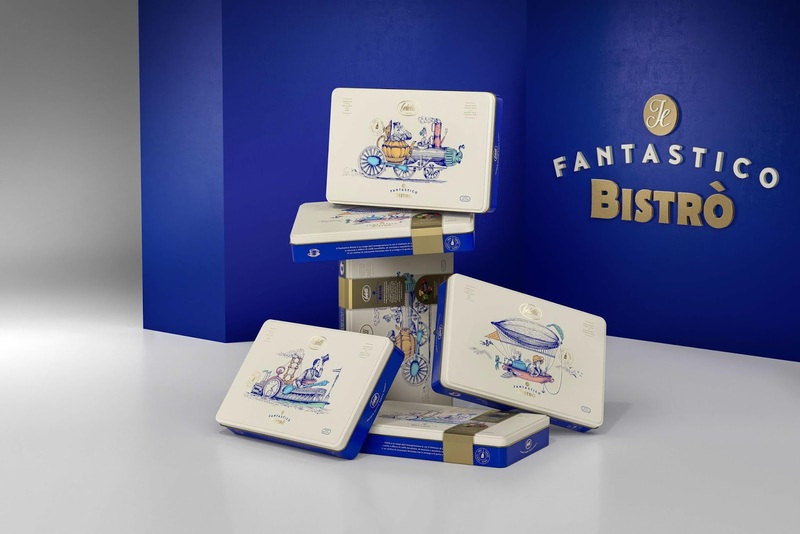 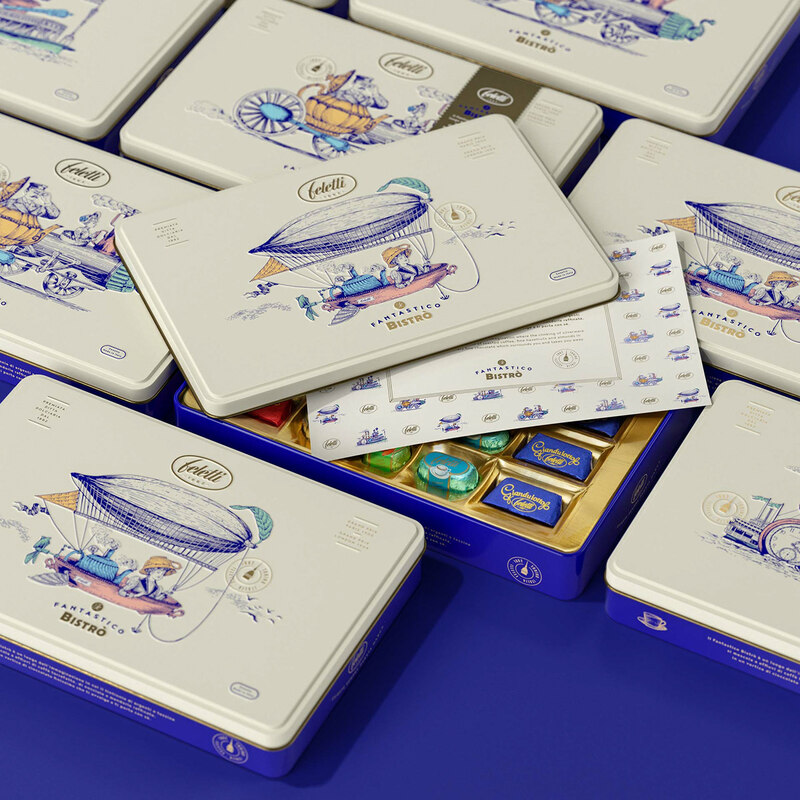 The project of repositioning the Feletti 1882 brand starts with this new line of assorted chocolates. 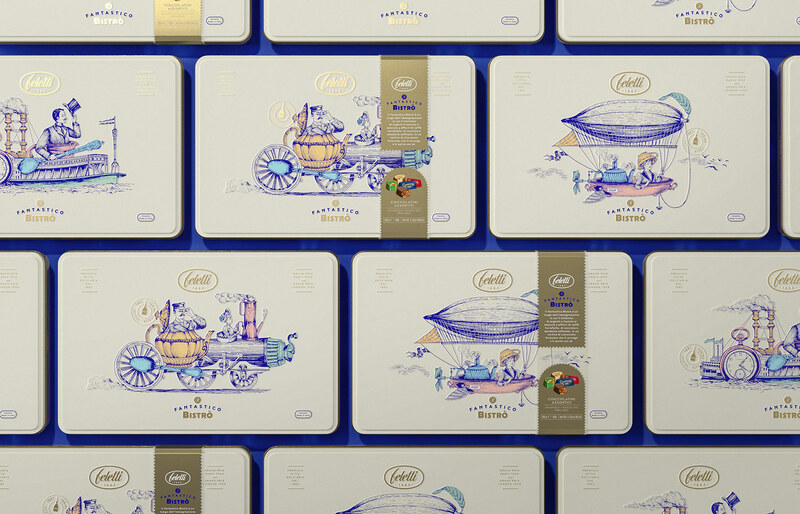 Happycentro imagined a fantastic world, populated by impossible machines, mustachioed gentlemen double-breasted and elegant ladies with improbable hats. 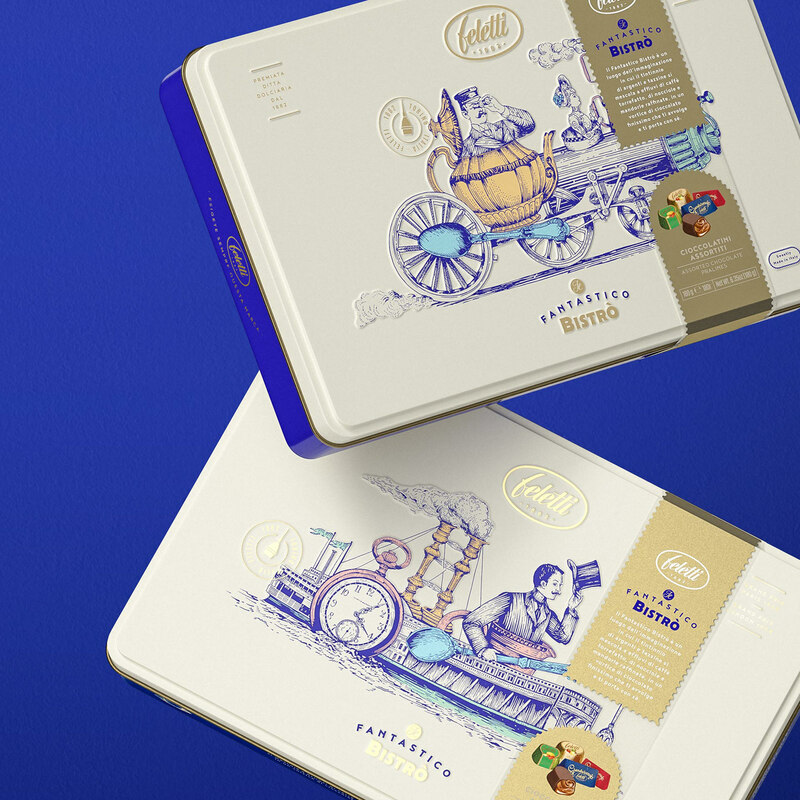 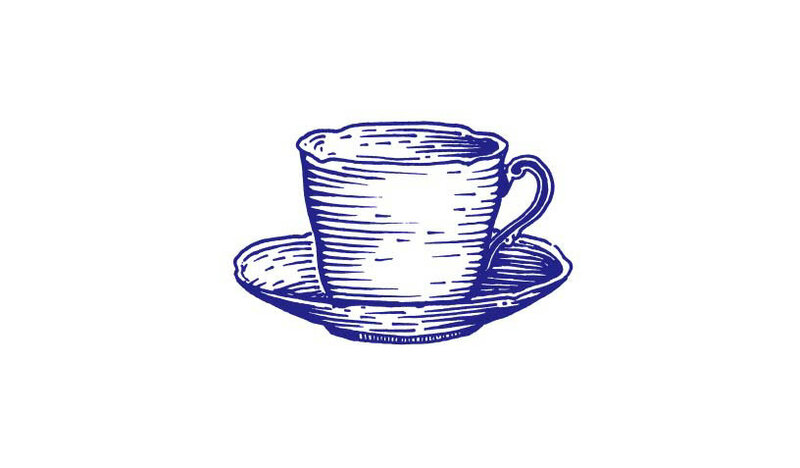 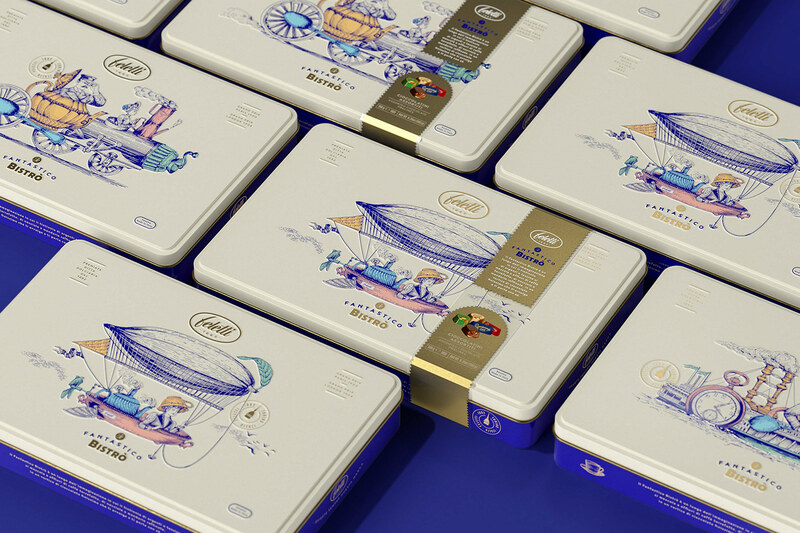 The history of the Feletti brand began in Turin, in 1882, where first Mr. Carlo Birocchetto and later the Commendator Giuseppe Feletti, dedicated themselves to the production of delicious chocolate. 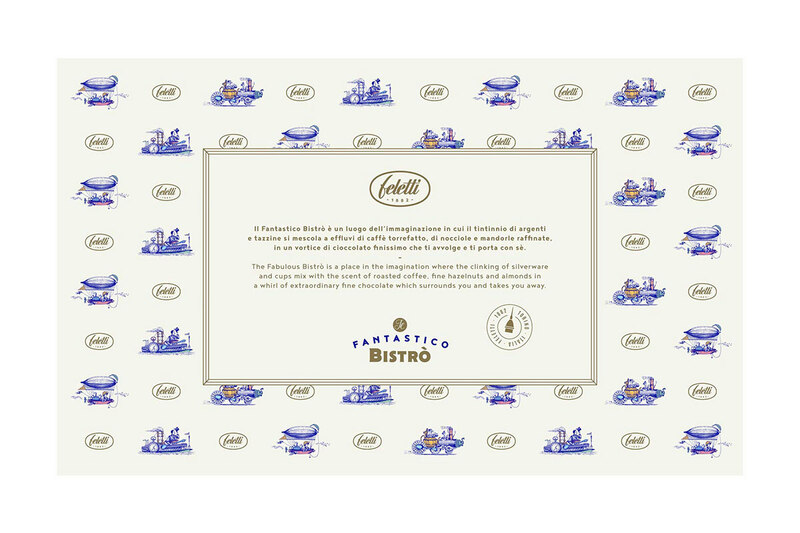 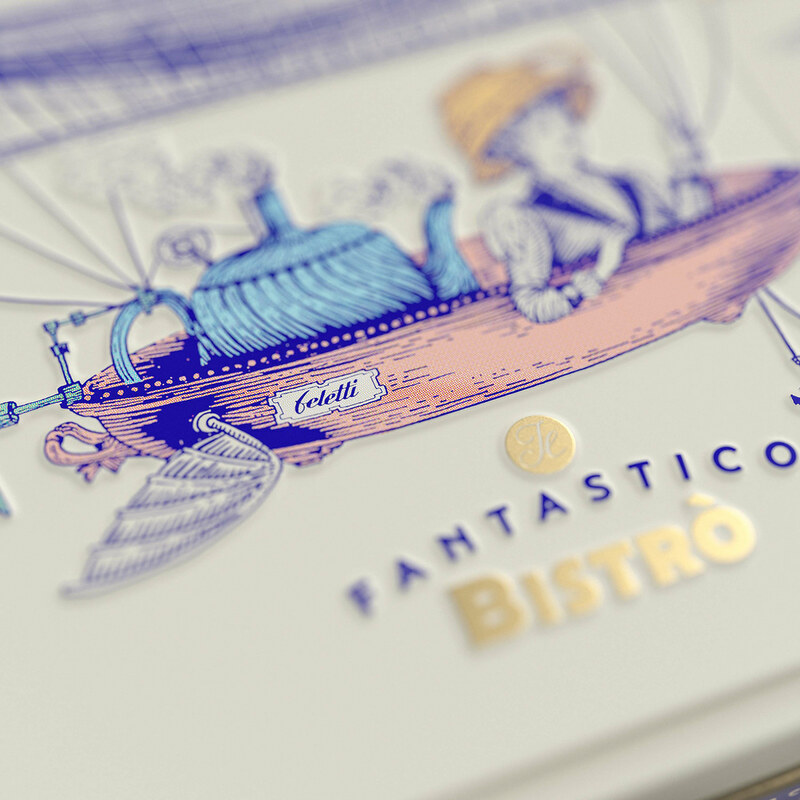 This project recreate the magic that reigned in the elegant bistro Feletti of Galleria Umberto I in Turin.